MOSCOW (Sputnik) - French President Emmanuel Macron and Japanese Prime Minister Shinzo Abe on Friday will hold a bilateral meeting on the sidelines of the St. Petersburg Economic Forum (SPIEF), the French Embassy in Russia said in a Wednesday statement. "On May 25,… a bilateral meeting between French President Emmanuel Macron and Japanese Prime Minister Shinzo Abe will take place," the embassy said in a statement dedicated to Macron's visit to St. Petersburg. The statement added that Macron, Putin and Abe would also participate in the plenary session of the forum. On Thursday, Macron will start his two-day visit to Russia. During the visit, he will hold talks with Russian President Vladimir Putin and attend a number of events within the framework of the SPIEF. SPIEF, held annually in Russia's second largest city of St. Petersburg, is a major global platform for communication between business representatives and the discussion of crucial economic issues. The upcoming event will start on Thursday and will continue until Saturday. 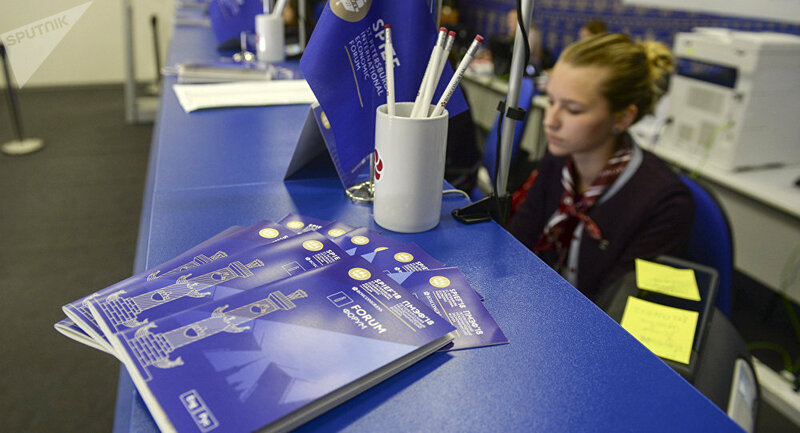 Rossiya Segodnya International Information Agency is the official media partner of the forum.